Vienna Coffee Company works closely with a range of cafes, coffeehouses, restaurants, and grocers to provide the best possible coffee experience for your customers. Whether you're a startup coffeehouse or a non-profit wanting to provide coffee for your office, we would love to partner with you. Please click below to request more information about Vienna Coffee Company. Thanks for your interest in Vienna Coffee Company. Our sales team will follow up with you as soon as possible! Finding a coffee provider can be overwhelming—and even a little daunting. Here are a few reasons why Vienna would be a good fit for you and your staff. Our top priority from day one has been customer satisfaction. In fact, if you hang around our office long enough, you'll hear John reminding our team that "delighting the customer" must be the first criteria for anything we do. We don't want to simply make a transaction; our goal is to help foster connection and community in the spaces where our coffee is served—whether it's our in-house cafes or a wholesale customer across the country. We believe serving coffee is more than a kind gesture—it's one part science and one part art. This is why we value education at Vienna Coffee Company. 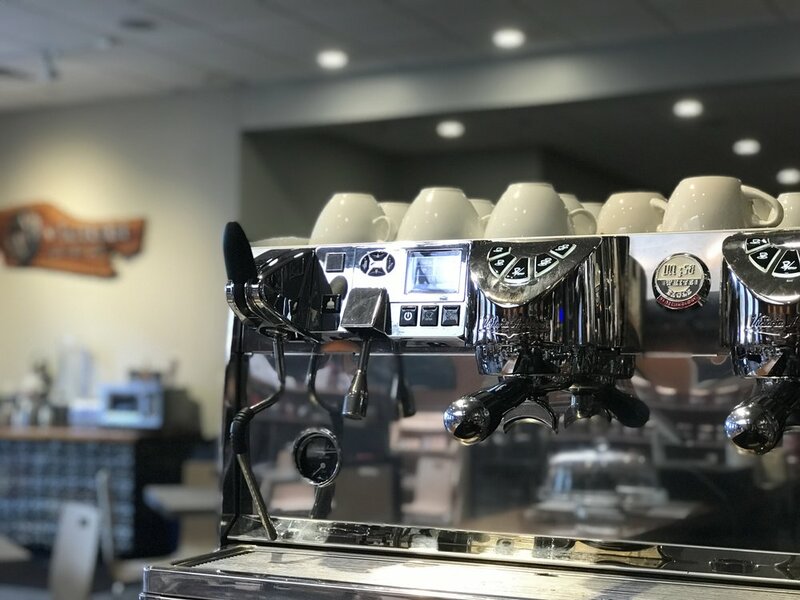 Having opened up two cafes of our own, our staff is able and ready to answer any questions you may have about your coffee, equipment, or operating your cafe. An added bonus of partnering with Vienna is our promise of free training for our wholesale customers, including retraining once your skills get rusty or you expand. We want your customers to drink the best cup of coffee they've ever had, and we think you're as capable to serve it to them as we are. Vienna Coffee Company is glad to offer our wholesale customers preferred pricing on Nuova Simonelli espresso machines, grinders, and wares. We even have a Nuova Simonelli certified in-house tech capable of keeping your equipment in top shape so that it lasts! That said, we also have relationships with other major equipment companies such as Mahlkonig, Bunn, and others, and would be happy to discuss what would best suit your cafe or restaurant.